Ben "Funky" Askren is ONE FC’s newest top signing. At the early age, Askren was influenced by his uncle who’s also a former wrestler to also become one. He then fought his way up and began doing it professionally. Before the Pro days in ONE FC, he also wrestled during his collegiate years. As of today, due to hard work and dedication in keeping his style unbeatable, he recorded 12 Wins with Zero loss, as he proves that his fighting style is best inside the ring. We, Benteuno.com got the priviledge to meet him in person and had a small talk. During our one on one interview with Askren, he told us that he manage to learn different fighting styles and also a master of jiu-jitsu, but still, his art of grappling left unmatched. Here are some interesting quotes from Ben during the Q & A on his eat-and-run visit in the Philippines at a gym in Metrowalk Ortigas. When asked about his change in opponent from a potential title bout to facing Bakhtiyar Abbasov, "It doesn't concern me. Injuries are a part of the sport and I'm excited to get back into the cage and compete with whoever ONE FC puts in front of me." When asked if ever he interested in teaching wrestling in the Philippines, "I will love to get that opportunity. The Philippines have produced so many great fighters and if I get that chance, I will definitely do it!" Is he pressured on this upcoming fight? "I love it! You got to embrace the pressure. I have the pressure for a reason. I'm undefeated and I know there's a target on my back and I want everybody to give me their best fight. I don't want easy fights." Whoa! 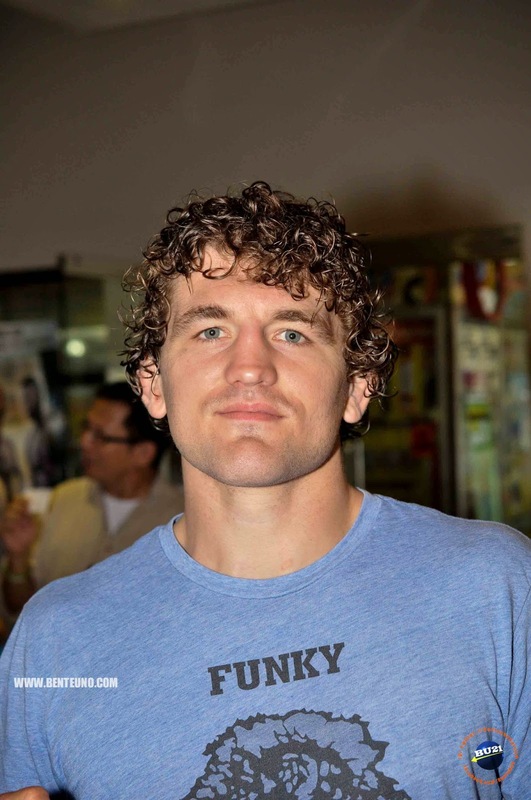 Ben Askren is all business as he's on to take the winning this coming May 30 in Singapore.